Lending Partners, Service Providers or Other Third Parties. In submitting an inquiry for a loan product or other service offered through this website, when you click on any button indicating an acceptance or agreement to terms, a continuance of processing or submission, you signify your agreement to proceed you are consenting, acknowledging and agreeing to the disclosure of your PII, as described herein, with Lending Partners or other third parties with whom you are or may be matched or to whom your information may be provided. Please note that no hard inquiry of credit will be performed by FinMkt . FinMkt’s Lending Partners will not perform a hard inquiry of credit unless you authorize them to do so by submitting a completed loan request. Even if you do not provide your Social Security number, Lending Partners may access your credit file to assist in the prevention of identity theft and to verify your request is accurate and complete. Lastly, not all Lending Partners will obtain your SSN and each Lending Partner has its own requirements, disclosures and consent requirements. BE AWARE that the Lending Partners with whom you are matched may retain or use your Information whether or not you use their services and you should contact these Lending Partners directly concerning their privacy and information sharing practices which may differ from those of FinMkt . FinMkt reservers the right to disclose your PII, including your email address, without your notice or consent to our affiliated business partners or to any other third party or for any purpose permitted by applicable law. FinMkt may be compensated for such disclosure. Parties to whom FinMkt discloses your PII may advertise, market, or make product or service offerings directly to you. We will not share any personal information about you with other Businesses to the extent prohibited by applicable Vermont law or to the extent your prior consent to share is required by applicable Vermont law. For purposes of compliance with the Vermont Consumer Protection Act, if you are a resident of the State of Vermont and would like to opt-out from the disclosure of your personal information to any third-party for marketing purposes, please contact us at privacy@finmkt.io . In addition, under Vermont's Fair Credit Reporting Statute, 9 V.S.A. 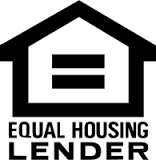 Section 2480e, and the Fair Credit Reporting Rule CF 112, each Lending Partner is required to obtain your consent prior to assessing a credit report. Lending Partners generally may obtain a soft inquiry prior to posting back an offer. Not all Lending Partners will do a soft inquiry and you should note that each form provides that you are providing such express consent upon clicking any "button" for submission of the inquiry and to be matched. Please read each disclosure carefully for each product and/or service sought to ensure you are providing the appropriate consent and that for certain products Lending Partners/providers may in fact perform a hard inquiry of credit and you are providing express consent to the same. Opting out of Tracking and Advertising. Please refer to your browser’s technical information for instructions on how to delete and disable cookies, and other tracking and recording tools. Note that disabling cookies and/or other tracking tools prevents FinMkt from tracking your browser’s activities in relation to the Services, and for use in targeted advertising activities by third parties. However, disabling these tracking mechanisms may disable many of the features available through the Services. Should you have any questions about opting out of the collection of cookies and other tracking and recording tools, you can contact us via email at privacy@finmkt.io . To opt-out of data provider cookies, please visit the Digital Advertising Alliance (“DAA”) website at http://www.aboutads.info/choices. For purposes of this Agreement, "You" or "Your" means the person(s) using the Websites, and/or the goods, facilities or services of FinMkt and its subsidiaries offered through alternative methods, including persons that allow others to provide information about themselves to FinMkt, the banks, Lending Partners, financial institutions, providers, and brokers on FinMkt's network, providers or partners. "FinMkt", "us" or "we" means, but is not limited to FinMkt. Disclaimer: The loans available are not mortgage loans, are not originated or funded by FinMkt, and Lendvious and FinMkt are not affiliated with the loan providers offering them. All loans are subject to credit approval. Programs, rates, terms and conditions are subject to change and may expire without notice. Other restrictions may apply. All applications must be submitted in writing. This advertisement is not a loan disclosure and all disclosures provided after applying should be reviewed carefully. This is not a commitment to provide a loan approval or a specific interest rate. ©2019 FinMkt, Inc. All Rights Reserved.